If you are reading this page, it is likely that you or someone you love may be among the unfortunate victims suffering from a brain injury. If you live in San Marcos, Oceanside, Escondido, or other parts of Southern California, The Rubinstein Law Group can help you and your family through this difficult time. 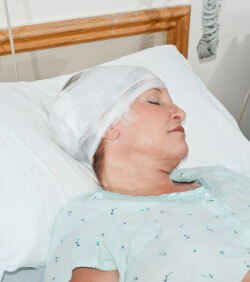 We understand brain injuries and the complicated medical issues relating to them. We understand the impact of this injury on your family, and the long and arduous path back to a normal or near-normal life. Our brain injury lawyers in Oceanside have decades of experience helping people get the compensation necessary for appropriate care and treatment after these catastrophic injuries. Please call 866-771-7181 today for a free consultation to learn how our personal injury lawyers in Escondido can help you. 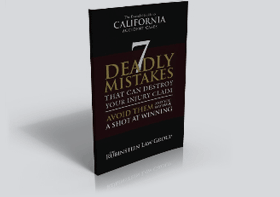 Unfortunately, many brain injuries are the result of negligence and could have easily been prevented if the negligent party had taken greater care to act in a safe manner. If your brain injury was caused by negligence, our brain injury attorney in Carlsbad will fight aggressively to ensure you receive the compensation you deserve. While brain injury symptoms sometimes appear right away, it is very common for them to take days or weeks to develop. For this reason, it is crucial that you seek medical attention immediately after suffering a blow to the head, even if you feel fine. Getting the treatment you need in a timely manner will significantly impact your ability to recover, and may be the difference between restoring full brain function and requiring a lifetime of ongoing care. To learn more, please read our Questions about Brain Injury page. Life after a brain injury can be very challenging for you and your family. It is important to have an experienced brain injury lawyer on your side who can help you receive the support and assistance you need. San Marcos personal injury attorney Zev Rubinstein is familiar with the state-of-the-art testing that can diagnose and document brain injuries . He will work with brain injury treatment professionals who can assist in rehabilitation, care, and treatment for you or your loved one. Please contact the Rubinstein Law Group today to schedule your free brain injury consultation. Mr. Rubinstein is a brain injury lawyer that serves clients in San Marcos, Carlsbad, Oceanside, and Escondido, California.